President's Student Employee of the Year Finalist • "Join an organization!" The Transfer-Year Experience Program creates transfer-specific academic spaces, connects transfer students to experienced mentors, and builds avenues for transfer students to establish peer networks. 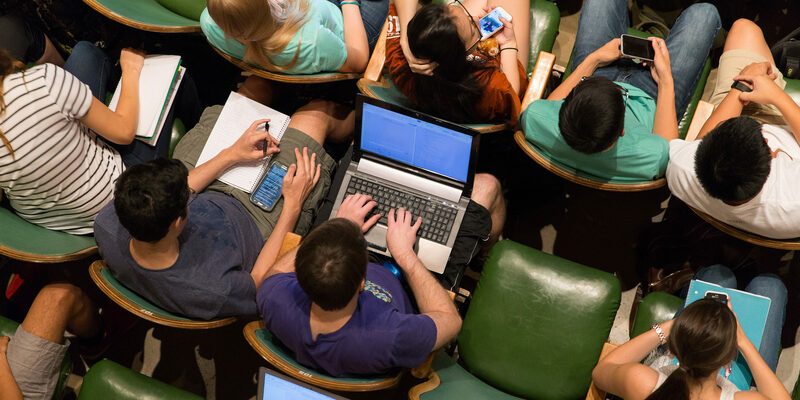 To help you connect with transfer peers and acclimate to the level of academic rigor at UT Austin, we offer Transfer-Student Signature Courses. By joining a Transfer-Year Interest Group, you immediately have a reserved seat in high-demand courses, a built-in network of fellow transfer students, and a peer mentor with the experience and training to help you navigate your transition to UT Austin. Attend the Transfer Student Leadership Summit to meet transfer student leaders from four-year colleges and universities across Texas and explore important transfer student topics. Texas Transfer Students (TTS) is an organization on campus started by transfer students for transfer students. Learn more about TTS and follow them on Facebook. Transferring into The University of Texas at Austin can be intimidating. A large university like UT comes with a wealth of resources, but how do you figure it all out? Hear from four senior transfer students who made it work.